Kiama Greens great banner with Jenny Leong (Greens candidate for Newtown), John Kaye MLC, Senator Scott Ludlam (WA), Mehreen Faruqi MLC and Lindsay Shurey (Randwick). This banner was photographed 100’s of times during the day and positive comments rained down upon it. 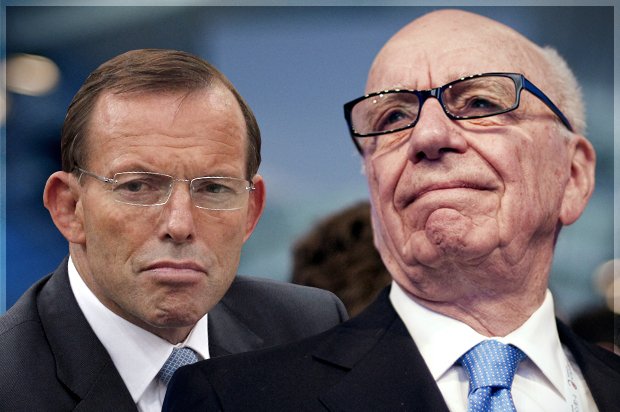 This week marked an embarrassing and reckless new low in Australian climate and energy policy. The government appointed panel led by a climate change denier and fossil fuel lobbyist has just released a review calling on our government to completely undermine our Renewable Energy Target. Want to do something about it? Continue reading This week marked an embarrassing and reckless new low in Australian climate and energy policy. The Renewable Energy Target creates jobs and cuts pollution. But Australia’s biggest polluters are lobbying the government to scrap the target – because they rake in billions from their dirty coal-fired power stations. Enough is enough. Watch this video and using our easy tool, send an email to the Board and executive management of Origin, AGL and EnergyAustralia. Click to download ACF’s detailed analysis of RET and see who really benefits. With Australian electricity prices amongst the highest in the world, more and more households are going solar. The big power companies say the Renewable Energy Target is undermining their businesses and they want it wound back. The federal government agrees, so who is to blame for the high price of power? Jess Hill investigates. (This story was originally broadcast on 27 April 2014.) Click for full story. 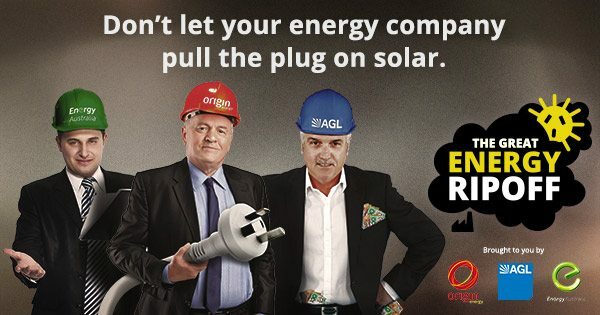 They might try to tell you they’re fighting for our clean energy future – but Origin Energy, EnergyAustralia and AGL are not as green as you think. Here are 10 things they’re trying to hide from you. What about the State Budget? Greens MPs have their say. NSW Treasurer Andrew Constance’s first budget was written to win the next election with lots of bright shiny new projects to please marginal seat voters, all paid for on the back of once-only assets sales. While services and environmental protection are starved of funds, the Treasurer continued to find tax breaks for the big end of town and even more money for private schools. Greens NSW MPs have composed a budget wrap to summarise how the pre-election budget will affect communities, the environment and the future of the state. Continue reading What about the State Budget? Greens MPs have their say.